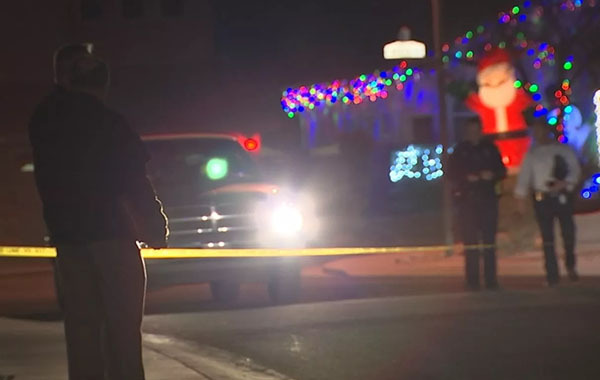 Phoenix, Arizona—The wife and daughter of a Maricopa County Sheriff’s Office deputy reportedly were intentionally run down as they walked along the sidewalk in their neighborhood on Wednesday night. Deputy Sergeant Steve Chervenak said the driver of a pickup truck drove onto the sidewalk and deliberately struck his wife, Amy Chervenak, and his daughter. Witnesses told Phoenix Police Department accident investigators that Trent Ferree, age 45, was driving his pickup “erratically” around their neighborhood near Jomax and Cave Creek Roads. Police determined that, earlier that evening, Ferree nearly ran down another couple who was able to jump to safety. Ferree struck the mother and daughter from behind, backed up over the woman, then drove forward over the woman again. She was transported to a hospital in extremely critical condition, but later died. Her daughter suffered a minor ankle injury. Two neighbors who witnessed the incident pulled Ferree from his vehicle and detained him until police arrived. Ferree was booked into jail on one count of first degree murder and three counts of attempted first degree murder. Apparently Ferree does not know the victims and does not live in the neighborhood where the incident occurred. We extend our condolences to the family and friends of Mrs. Chervenak over this tragic loss, and we wish her daughter a speedy recovery.